The Kia Optima is a midsize sedan that’s both cost-effective and feature-packed. What’s more? You don’t have to buy to enjoy all it offers. Leasing a Kia Optima allows Los Angeles drivers to experience the latest Kia comforts and technologies for low down payments and monthly payments. Whether fuel-efficiency, safety, or technology are at the top of your shortlist, the new Kia Optima delivers. 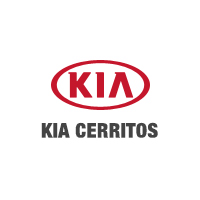 Browse Kia Cerritos’s Kia Optima lease deals below! Why Lease a Kia Optima from Kia Cerritos? When you lease from us, you’ll enjoy a transparent leasing process, as well as end-of-lease options. Whether you choose to lease another Kia Optima or simply walk away at the end of your lease term, we’ll happily assist you. Contact us with any questions about Kia Optima lease prices or how to get pre-approved online! While you’re here, check our guide to the differences between leasing and financing.